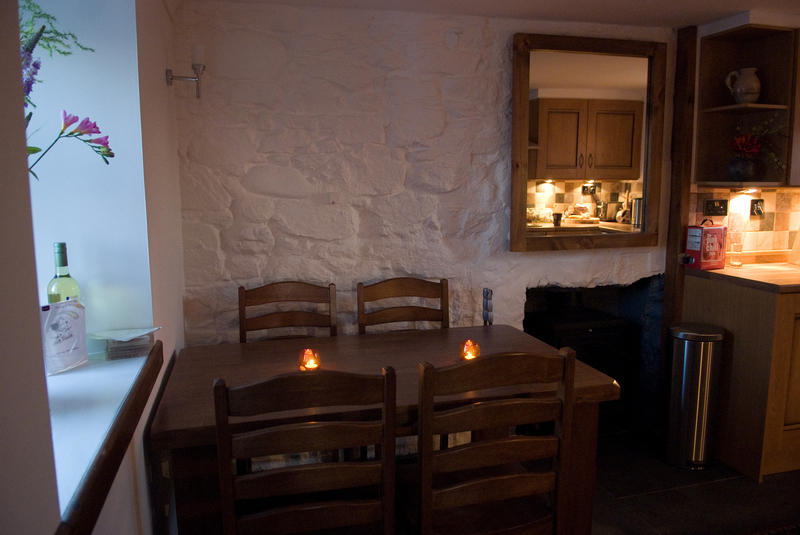 This picture shows the corner of the kitchen, at dusk, hence the little candles. The Small dining table and chairs is ideal for this kitchen and made of wood. The stone whitewashed gables provide an excellent backdrop.